With the golf industry seemingly on an uptick, golfers around the country are expected to flock to the plethora of golf shows slated over the next few months. 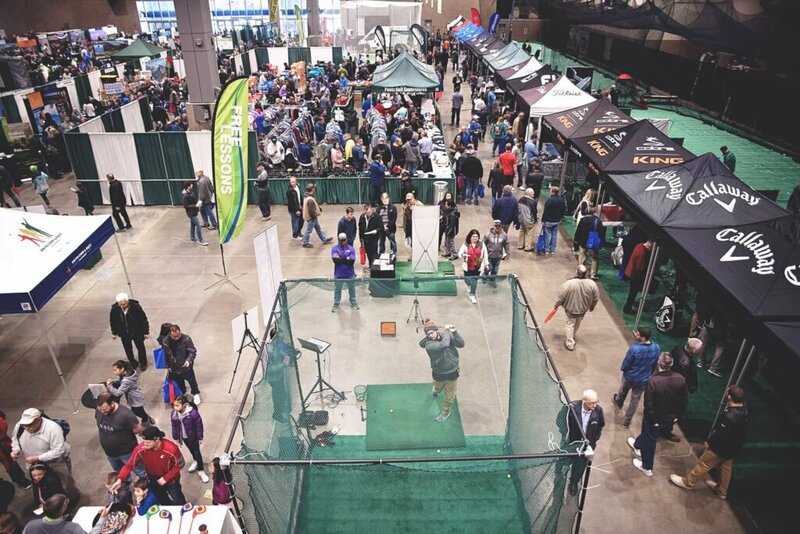 Roughly three dozen golf shows are scheduled through March in cities across the U.S. and Canada. A few general notes about attending golf shows. These generalities do not apply across the board, but most golf shows offer some or most of these particulars. • Significant savings on name-brand clubs, equipment, and apparel as many quality brands tend to sell off their inventory at golf shows in preparation for the coming season. • Free indoor driving range lined with representatives of the game’s biggest manufacturers. • Free rounds of golf at local courses. • Putting, long drive, and short game contests for the chance to win golf and stay-and-play vacations. • Golf lessons from top PGA professionals. • Special areas for kids, including free lessons and junior golf presentations. In addition to providing links to each show, a nearby RV park is also suggested. For those visiting the Seattle Golf Show, avoid the congestion of getting to downtown and stay across the Puget Sound at Fay Bainbridge Park and Campground on picturesque Bainbridge Island. Simply take the Washington State Ferry from Bainbridge Island to downtown Seattle and then walk five minutes to the golf show. 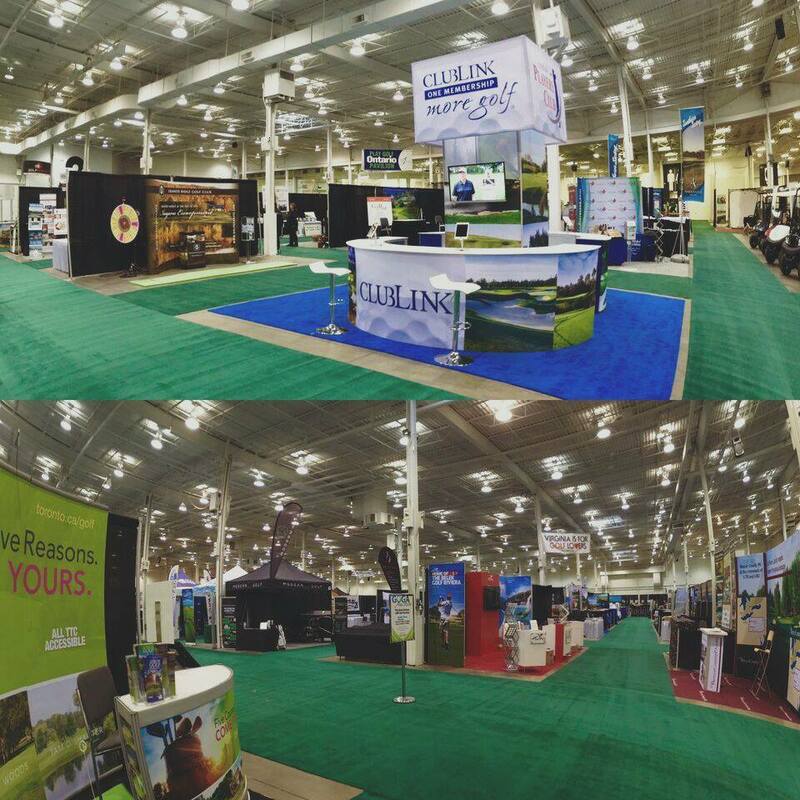 One thing is for sure: If you attend a golf show, you know the season is just around the corner! 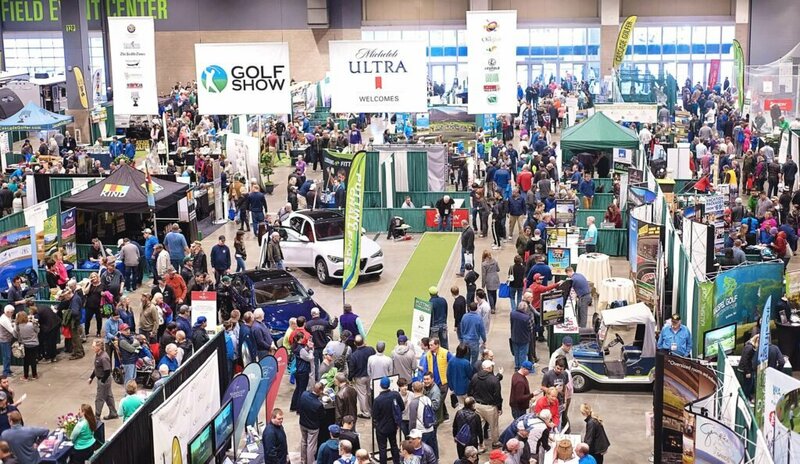 2019 Golf Shows in the U.S.